Lone trip, via Rexburg and Cardston. 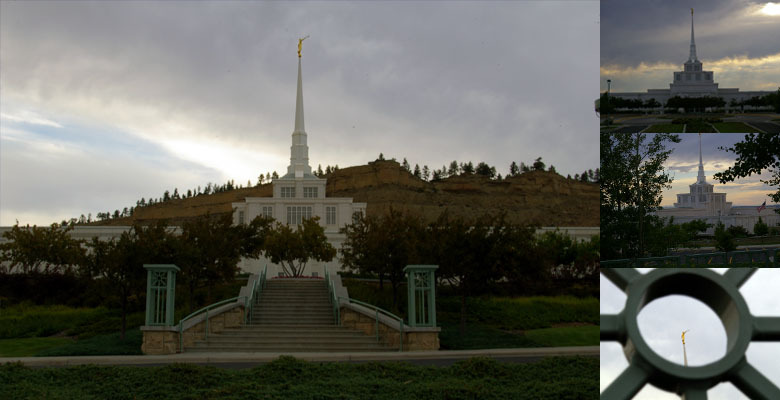 I getto the Billings Montana Temple is closed, being Monday and all. So I’m wandering around the fence, taking pictures as the sun sets, when I get stopped by the Church’s Security guard. The security guard was a man who used to work at the Orem Utah Fred Meyer with me. I was the department Assistant Manager, and he was training to be Assistant Manager at another store with my Departments Manager. We caught up for a moment, and then he let me on the grounds to take more pictures. Small world.